Then he will be at Last Word Books on Friday, Oct 26th at 7:30 pm. and one more time in Oly on Monday, Oct 29th at Lecture Hall 2, The Evergreen State College at noon. Want to understand anarchism? Learn more about it. It’s not what you may think. 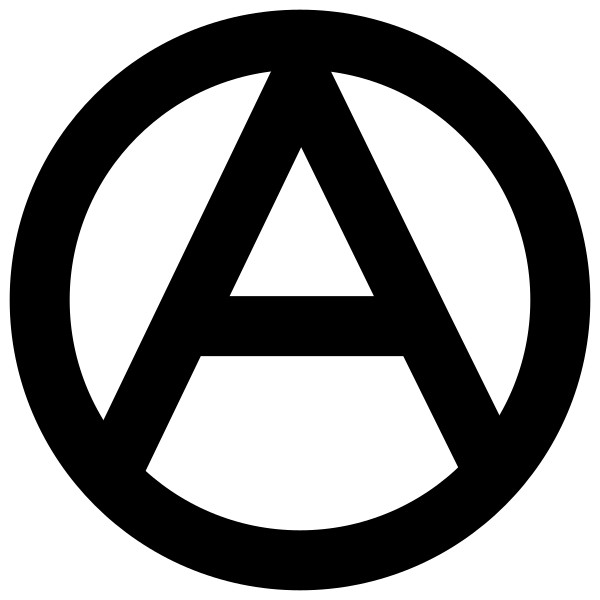 Want to continue to misunderstand and misrepresent anarchism? As Bobby Dylan said, “you are going to have to serve somebody…” Choose today, who will you serve? You are going to have to serve somebody. In the aftermath of Hurricane Katrina both federal and local authorities failed the population of New Orleans and the Gulf Coast region. As a result, relief efforts from various sectors of American society flowed south. One of the first and most spectacular and aggressive efforts was Common Ground Relief — formed by strands of the anti-globalization and anarchist movements. scott crow documents these struggles in “Black Flags and Windmills: Hope, Anarchy, and the Common Ground Collective”, recently released by PM Press. In this interview, Crow describes the process of becoming an author after being an organizer, reviews the history and myths of Common Ground and explores possible lessons for future progressive and radical organizing. Visit crow’s website at http://scottcrow.org/. Can you speak to the writing process behind “Black Flags and Windmills” and your shift from an organizer to an author? One word: difficult. I don’t consider myself a writer; and while I have written a few pieces over the years, it has mostly been out of necessity. From my arrival in New Orleans I took copious notes. Every time I would get moments to get away, I would take notes about organizing and creating an organization to deal with the disaster following Hurricane Katrina. Additionally, I wrote communiqués from just days after the storm and continued for three years. I went back to all of those writings and began turning them into chapters. On a personal level it was healing to write: I came back with post-traumatic stress, couldn’t function in society and felt like the ghost in the machine a lot. The writing actually helped me to relive those traumas in a different way, to really dissect them. It was almost a five-year process; I feel so much better now than I did when I started the book. This is not to say that “Black Flags and Windmills” is a sorrow-filled book. There are lots of beautiful stories along the way and lots of really engaging organizing that was going on. The book describes the anarchist heyday of Common Ground, when the most self-identified anarchists came; this was early September 2005 until 2008. Afterward, the organization became much more structured in a traditional nonprofit way. This is not to denigrate it — just to say that the book focuses on this initial period of “black flags” at Common Ground. Since memory is a tricky thing, I did outside research and revisited with people. I went back to news articles from grassroots media, reports and blogs to look at specific events and the way things unfolded. Then, I would ask key organizers and New Orleans residents, “Do you remember when this thing happened?” Sometimes it was completely different from how I remembered it. I don’t claim to speak for Common Ground, as I think that would do a disservice to the thousands of people who participated and the hundreds of key organizers that were there. When I tell a story I want people to understand it and create common bonds. I wrote this book for people who might not have any understanding about radical or anarchist concepts. I always ask myself, “What would my mom think about this?” While I wrote it for people like her, my target audience was those who were coming into movements and might be inspired by what Common Ground was building. I used the stories in the book to give a primer on the theoretical background of anarchism in practice. Another part of the book is telling my own personal narrative. It’s not because I think my story is important, but I wanted to show that I am a regular person that was just caught up in extraordinary circumstances. Want to know more? Read the whole piece. Come sit in on one of the events. Let’s assume that a person really wanted to understand a foreign philosophy, a different way of setting up a society. If that was the case, I would recommend listening to Suzanne Guerlac talk about the philosophy of Henri Bergson. This is a dense program, but Suzanne is articulate and the interviewer asks probing intelligent questions, so if you have an hour where you really want to listen closely, I heartily recommend this program. It is especially powerful when Suzanne starts talking about how the evolution from a closed society to an open society is not an easy evolutionary transition, that Bergson thought it would take some sort of fundamental change in way of being to occur. Imagining that sort of thing is difficult. Yet those moments occur. Think Solidarity in Poland. Think the fall of the USSR, the sudden destruction of the Berlin Wall. In those moments, I suspect that an open society emerged, however briefly, before a closed society reasserted itself. Fits and starts. Evolution and change may not be orderly. So, open societies. What would that look like? Listen hard to Guerlac’s discussion of love and livingness as something new, not love that arises with an object that is loved by a subject who loves, but when love arises in reference to all living things. Pretty amorphous stuff. And for those of you who need a lot of structure, this is not going to be your cup of vegan broth. But if you want to stretch a bit, and you want to commit the energy, I think this program will stretch you. Against the Grain appears to be a wildly intelligent program. My friend Gar Lipow is the latest guest. Gar is talking about climate change and economic exploitation. Suzanne is so last week. 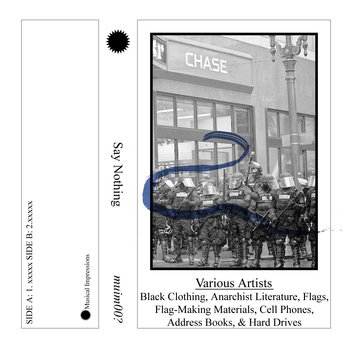 If you make it through the Open Society talk and thinking in time ala Bergson, and you want to think more about open societies, you could check out the mp3s at Audio Anarchy . The Anarchy Tension series is a good place to start if you have an open mind. You may come to the conclusion that this is simple utopian sophistry, that might be true, but it may also be true that if/when an open society emerges, this could be one of the ways that it will happen. This might be the shapeless shape of a certain kind of open society. Have to pack and set up the Really Really Free Market in Olympia. Contracting other relationships, behaving differently toward one another? Can we really destroy the state by behaving differently?